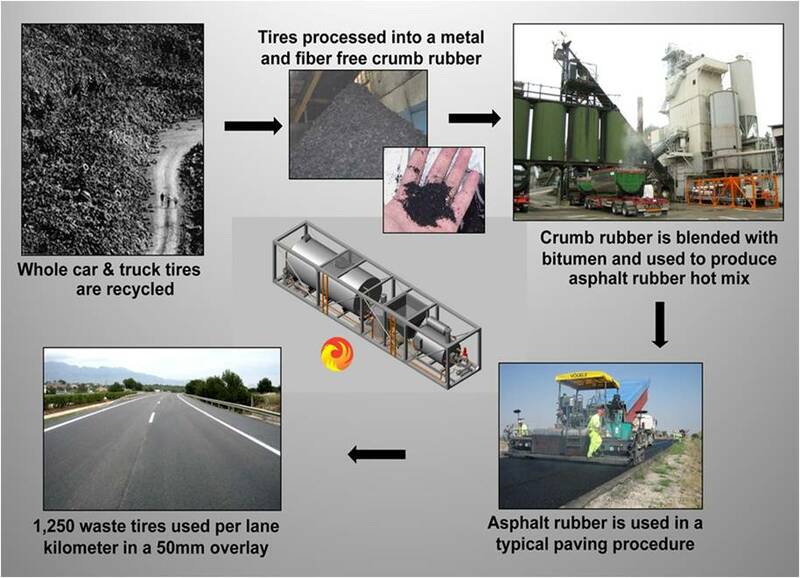 A road paving material made by blending ground-up recycled tires with asphalt to produce a binder which is then mixed with conventional aggregate materials. This mix is then placed and compacted into a road surface. a. Resists cracking, which reduces maintenance costs. b. Lasts 50% longer than conventional materials, leading to lower resurfacing investment.